That night, as the surgeon completes his paperwork, he is visited by a family – a teacher, his heavily pregnant wife and their young son. Victims of a senseless attack, they reveal to the surgeon wounds that they could not possibly have survived. And so the surgeon finds himself faced with a preposterous task: to mend the wounds of the dead family before sunrise so that they may return to life. But this is not the only challenge laid before the surgeon, and as the night unfolds he realises his future is tied more closely to that of the dead family than he could have imagined. 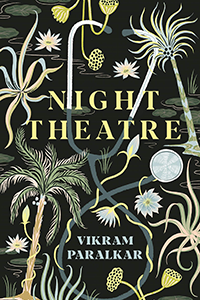 At once dustily realist and magically unreal, Night Theatre is a powerful fable about the miracles we ask of doctors, and the fine line they negotiate between life and death. When I requested this book, I wasn’t certain what I was in for and as I started reading after being approved, I still didn’t know what I was in for. That says a lot, doesn’t it? I mean, throughout the addictive book, I was left wondering if it is medical fiction or if it’s magical realism? Whether the incident happening was real or just someone’s nightmare? There is a tiny village somewhere in India (from what I gathered, it might have been set in Maharashtra seeing as the people spoke Marathi), there’s a village doctor whose clinic is seriously underfunded, understaffed and just in desperate need of some quality equipment to better help the villagers that come to him with various maladies and tragedies. The doctor, a surgeon, has only a trained but not quite educated pharmacist and her eager to help husband. The doctor has been making do with what he has, often paying out of his pockets for the unending need for supplies. The villagers think of him as a saint, someone who they know has left behind private hospitals with their latest technology to help them. One night after having a proper row with the government official during the day about the lack of polio drops for a polio drive, he is then asked by a family to perform surgery on them in order to save their lives. The odd thing is that they aren’t alive to begin with. The story of that one night, in trying to save the family, in trying to understand what happened to the family, changes the doctor and his assistants for years to come. I strayed from my normal review format because this book was just so very different from what I read and it also can’t quite be called literary fiction despite its very convicing writing and characters and plot. So, let’s start with writing. This was my first Vikram Paralkar book and I am in love with the way Paralkar writes. It’s engaging and I literally wasn’t able to put the book down even though I had some very important chores. Then there’s his medical background which comes into play quite stunningly. He uses his knowledge and doesn’t try to shy away from the slightly horrifying parts of the job so even though I sometimes cringed, I admired that bit a lot. The characters themselves were so freaking grey morally that I absolutely loved it, no one person was completely good or bad, they were always trying to find their balance and not quite succeeding in it. The fact that none of them has a name, has no bearing in how the story works because it just gives us more to work with. At its core, this is a story of hope and how it can make or break lives. The doctor has lost all hope of ever getting enough funding to get the villagers the care they need, the young couple helping the doctor are still hopeful enough in their life that they hope they will be happy and with a child soon. The dead family has their own sense of desperate hope and witnessing the rise and fall of their hopes is quite the journey. I thought I knew what the author wanted us to see near the end but then the ending made me rethink the whole thing again. Isn’t that how hope works anyway? 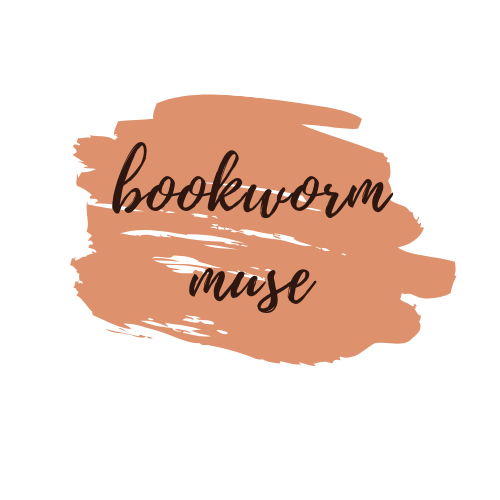 Overall, I would absolutely recommend it to those who want to read something different, something not quite paranormal but just weird enough to warrant the inclusion in the genre. Mind you, there’s quite a lot of details about various medical procedures and if you are easily spooked by that then think twice before picking it up. Night Theatre releases on 21st February, 2019 and will be available wherever books are sold. I hadn’t heard of this before, but it sounds very interesting! I loved it and the only thing I genuinely didn’t like was the fact that it was too short in my opinion.